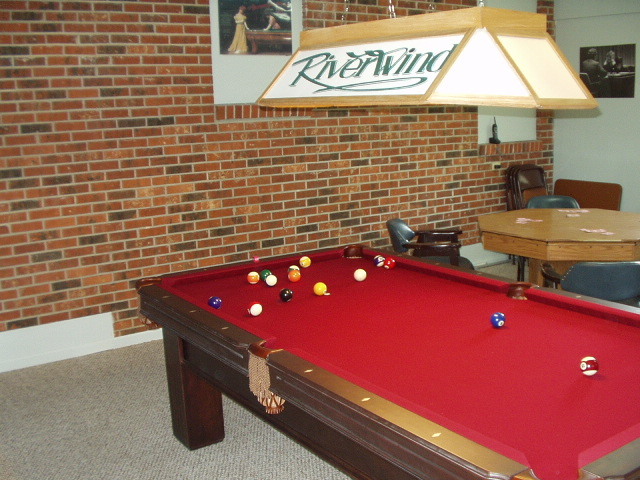 Riverwind has a number of Amenities for resident use and enjoyment. We have listed and expanded a description for each below. 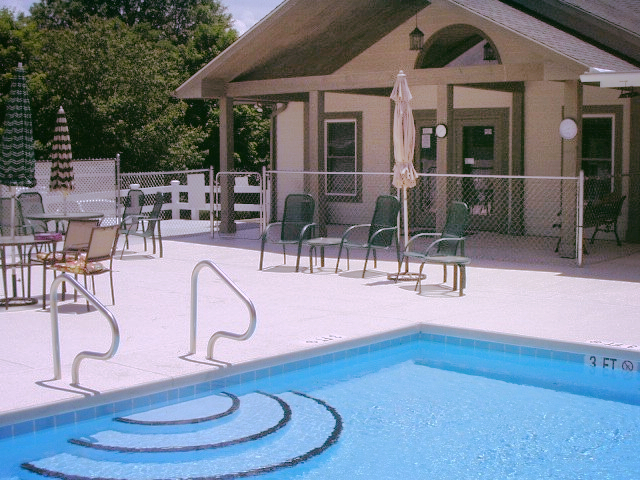 The Clubhouse Complex is located at the entrance of RIVERWIND and consists of a Main and Small Clubhouse, a Pool, Hot Tub, Community Game Room and a Recreation Area. 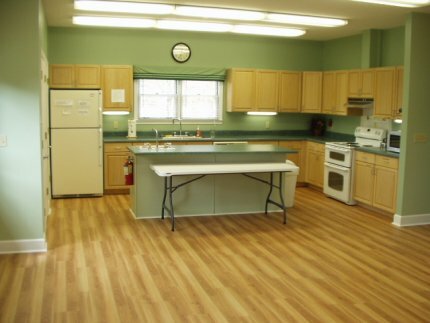 The Main Clubhouse is available to residents for their use. 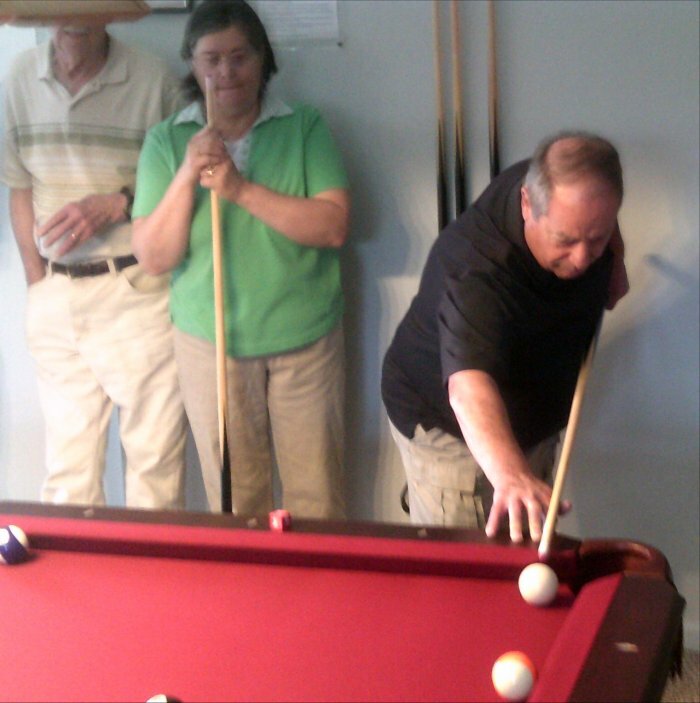 It is also used for many of the activities scheduled on the monthly calendar. 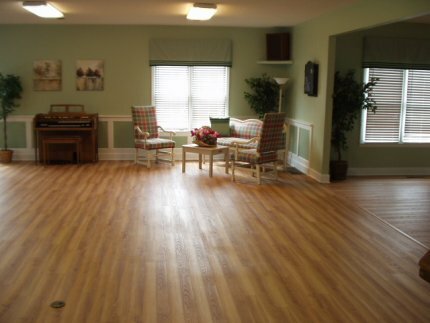 With seating and tables available for over 60 people, a variety of events are held every month for the entire population of RIVERWIND. 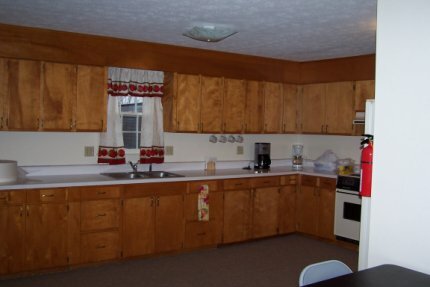 A fully equipped kitchen with dinnerware provides the articles needed to support the events that residents enjoy. 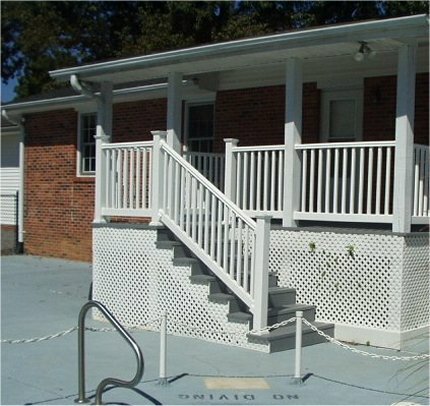 The Small Clubhouse was the old sales office of the development and was recently renovated and updated for use by the residents. 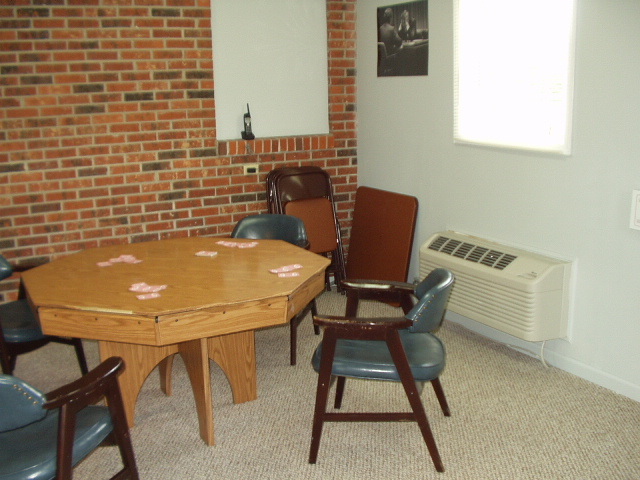 Small groups (under 20) can utilize the large meeting room for Bridge, Bunko or other games. 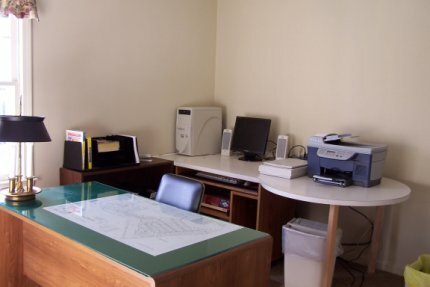 A small meeting room is also available for groups (under 10) for quilting, "stitch and chat", poker or other activities that need a small meeting room. 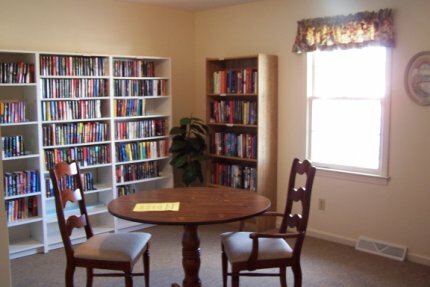 The small clubhouse also has the RIVERWIND Library. Hardback and softback novels and reference books line the shelves. Volunteers scan the shelves for outdated volumes and help visitors find just the right book to meet their needs. 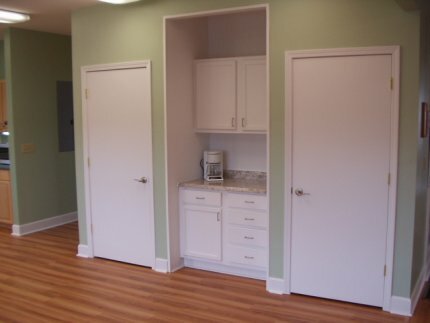 The library is available 24 hours a day to every resident. You know that summer has arrived when the Pool and Hot Tub are opened around Memorial Day. 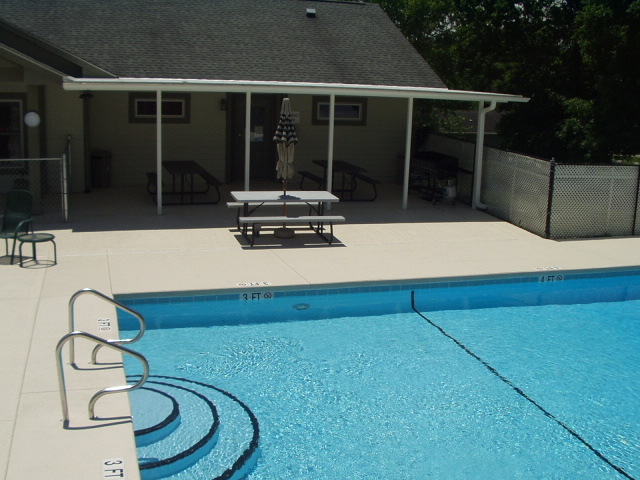 During the winter a pool cover keeps the infrequent snow storms from filling the pool, but once the cover comes off residents and their guests flock to the pool nearly every day. 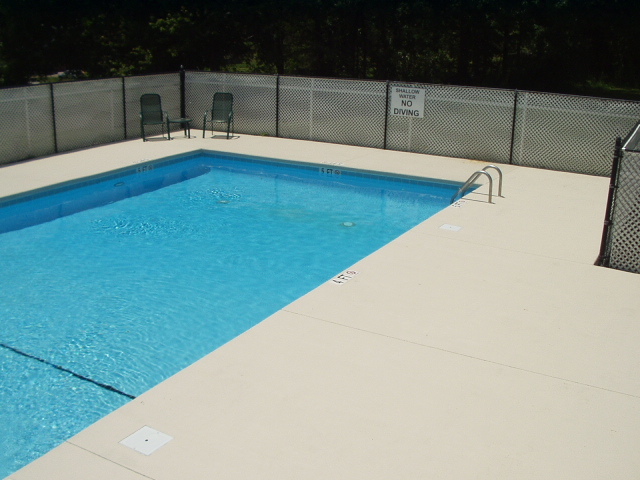 The warm water and sunny North Carolina days provide a relaxing atmosphere all through the summer. 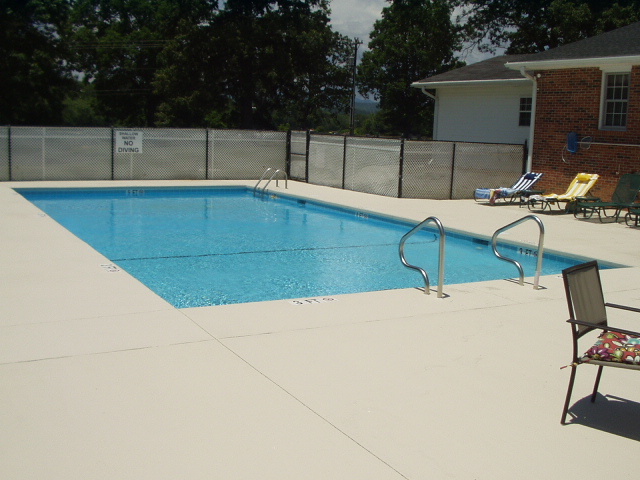 The pool rules and regulations are available for your review and understanding. 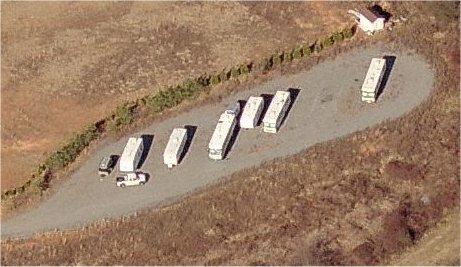 At the eastern edge of the development is a graded and level parking area for resident RV, travel trailer and boat parking. 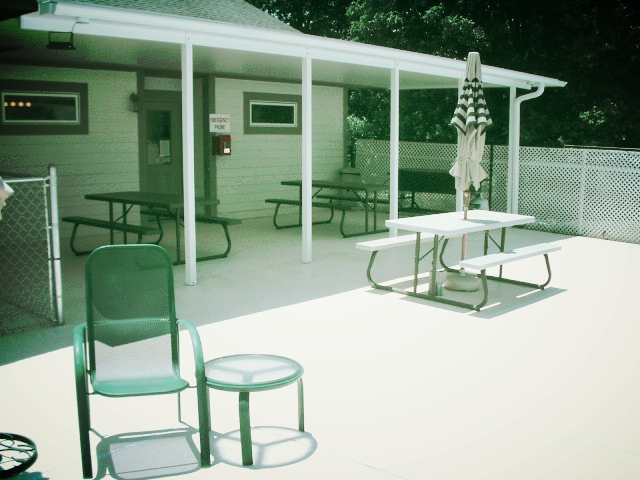 During extended stays (up to 30 days) visitors can use the RV parking area to park their vehicles. 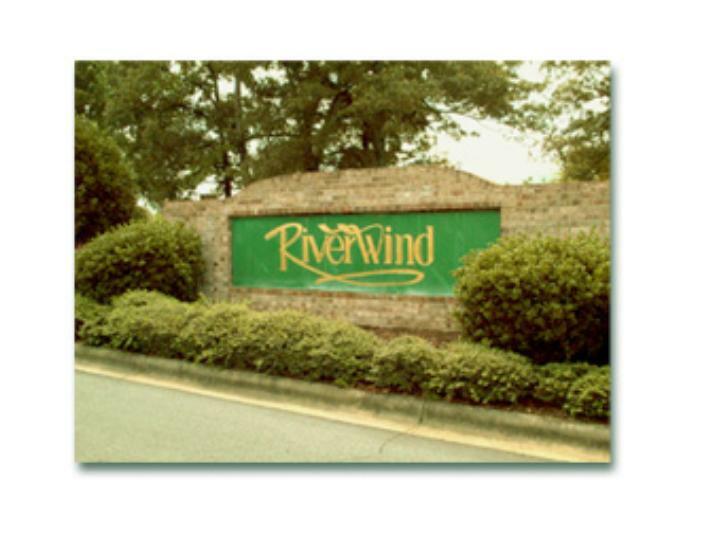 No Community stands still while time passes and RIVERWIND is no exception. 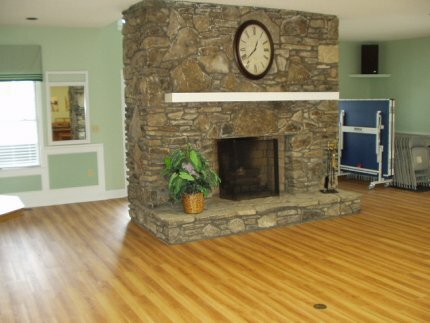 Resident ideas for indoor and outdoor activities and improvements across the community can be submitted to the Board for review. 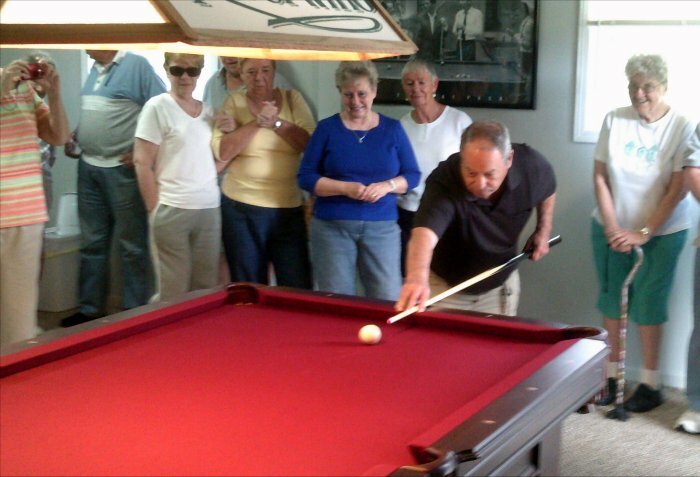 The newest amenity for Riverwind residents is a new Community Game Room open to all residents and their guests over 18 years of age 24 hours a day. 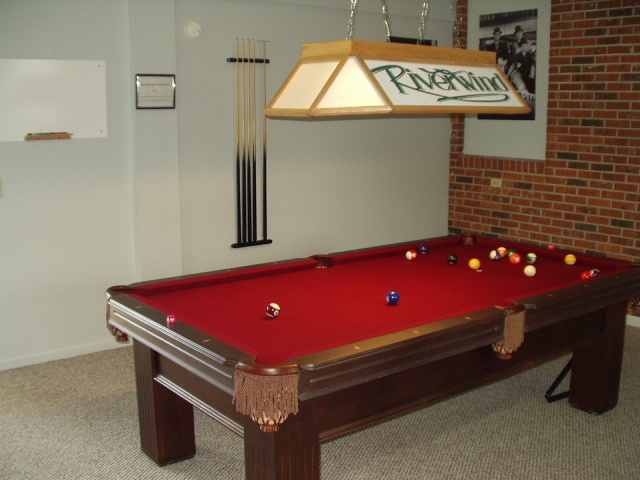 The new Room has a pool table, game table, and dart board for your gaming pleasure. 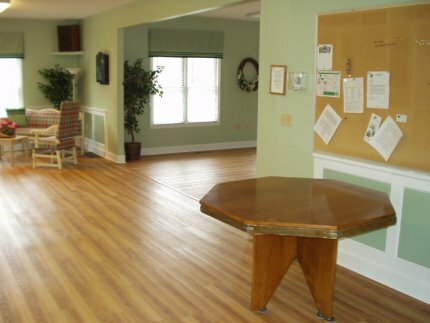 If you enjoy cards, dominoes, backgammon, cribbage, chess or checkers, this room has each game set available. 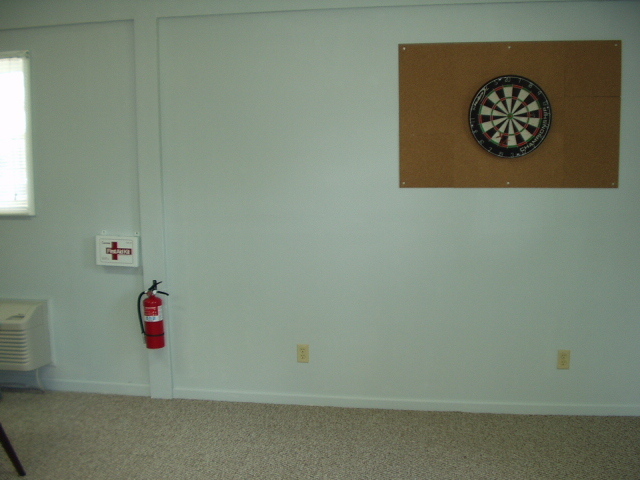 There are also horseshoes available for the court just outside the game room.